The European Bison was almost extinct - only 12 animals remained in zoos - with a resulting resonably low genetical variation. They based the population of more than 3000 specimens today. Bisons were still common in Europe during the Dark Ages. 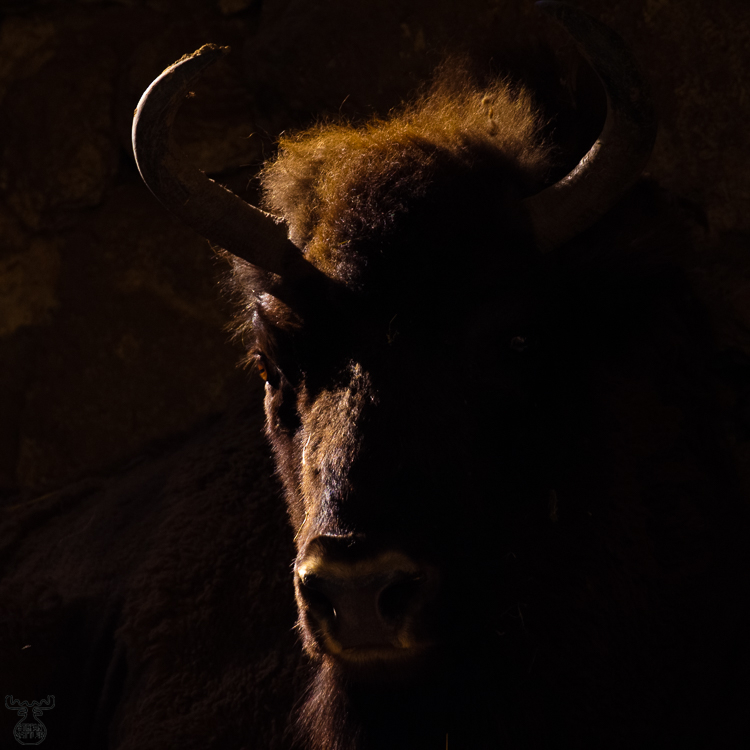 This "Dark Bison" is part of the conervation breeding programs and posed in his shelter in Wildpark Hundshaupten. A ray of sunlight from the side produced the silhouette.